The excavation site on Poshtova Ploshcha in Kyiv with its unique finds of the times of Kyivan Rus is of great significance for the reproduction of the true history of Ukraine, contrary to Moscow's versions of our history. This was emphasized by Patriarch Filaret of Kyiv and All Rus'-Ukraine during the international scientific-practical conference “Poshtova Ploshcha in Kyiv: Historical and Cultural Dimension,” Ukrinform reports. “Why is so much attention paid to this place? Why is this important, is the struggle between Ukraine and Russia, the first one - Moscow or Kyiv. The history that Moscow created to fit the empire is now breaking apart. 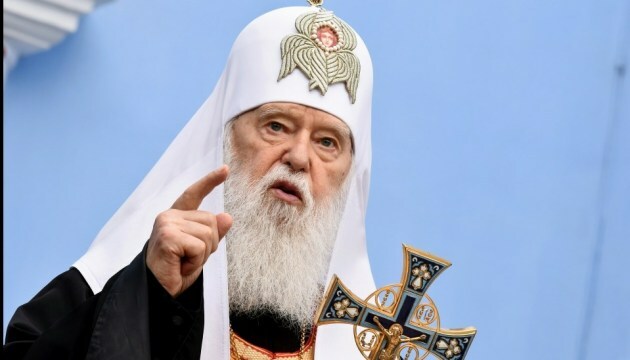 We have our own independent State, and so the State requires us to know our true history, not the one that was imposed upon us, but the one that was,” said Patriarch Filaret. He noted that history should be objective, regardless of whether it is good or bad. “And that is why this place, which is associated with the baptism of Rus, has a great significance for us because Russia is already reaching the point to suppose that the Baptism did not begin in Kyiv, but in Chersonesos, thus distorting the history, we must know our true history, we must explore this place, grant it a national significance,” said the Patriarch.